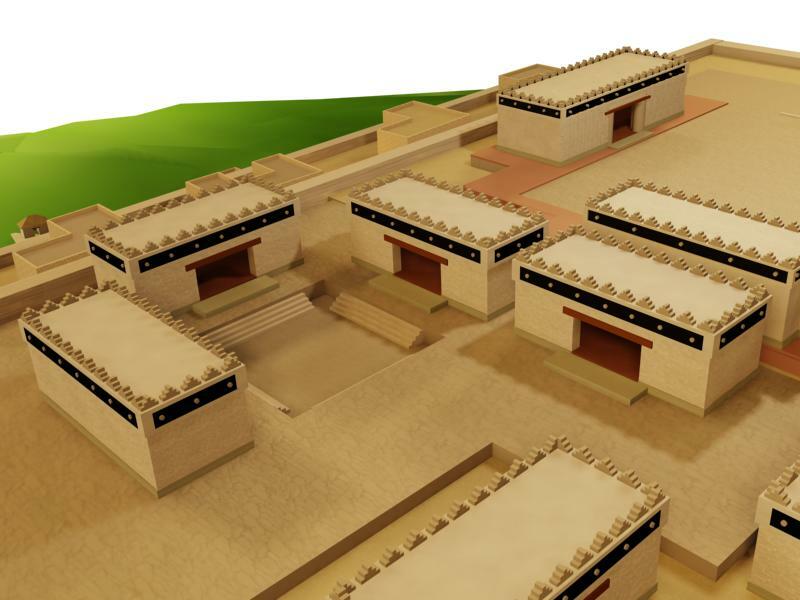 While we are no longer visiting this archaeological site, “Yucundaa,” you still might like to read about it. The following are some materials relating to the this pre-Columbian Mixtec community that was moved at the instigation of the Spanish colonizers in the mid-sixteenth century down from its mountain-top location to the current site of Teposcolula (which we will visit with Dr. van Doesburg). 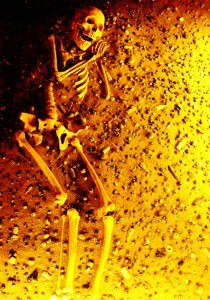 The excavation project was one directed in part by Professor Ron Spores, our core-faculty archaeologist. After being excavated, this site had to be buried once again, to protect it until it might some day be opened to the public. Rumors are that it may be opened in the next few years. 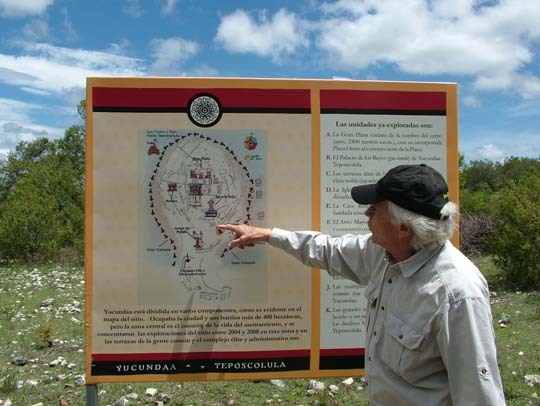 Dr. Ron Spores showing site map with its key architectural features, the encircling road (where there are many caves with ritual significance), and more. 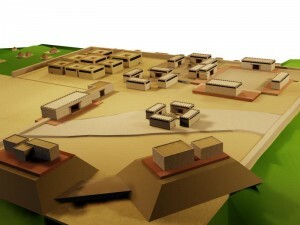 An artist’s reconstruction of the community of Yucundaa prior to its removal to the lower settlement of Teposcolula in the sixteenth century. Mock-ups of buildings help us visualize how the community appeared prior to its abandonment in favor of removal to the valley below. 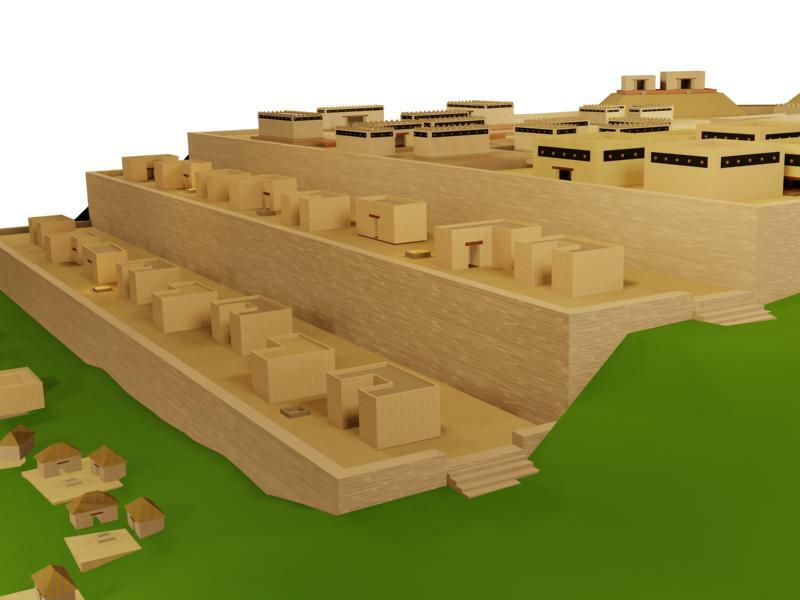 First, we see an overview of the “city.” Not shown here is the ballcourt, which was located toward the edge of settlement. Nor are we seeing the avenue that circled the settlement, dotted by sacred caves. 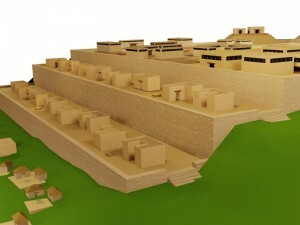 Next, we see the houses of the nobility located at a lower level on the hillside, below the palaces. And, below these houses of the nobility would have been the settlement of the laborers and tribute payers. Next, we see the chapel that was constructed by the Spanish colonizers right in the middle of the post-Classic settlement. Near the chapel were burials, including a burial of an indigenous woman with a vast burnt offering. 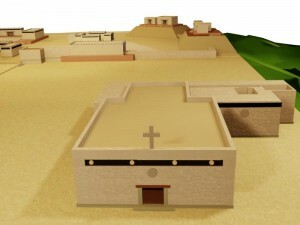 The burial combined pre-Columbian and post-Conquest styles, reflecting the mid-sixteenth-century setting (ca. 1535-1550). The woman appears to have been about 32 years old. The 70,000 artifacts buried with her include small stone carvings, shell, bone, ceramics, copper, and some clearly colonial objects. 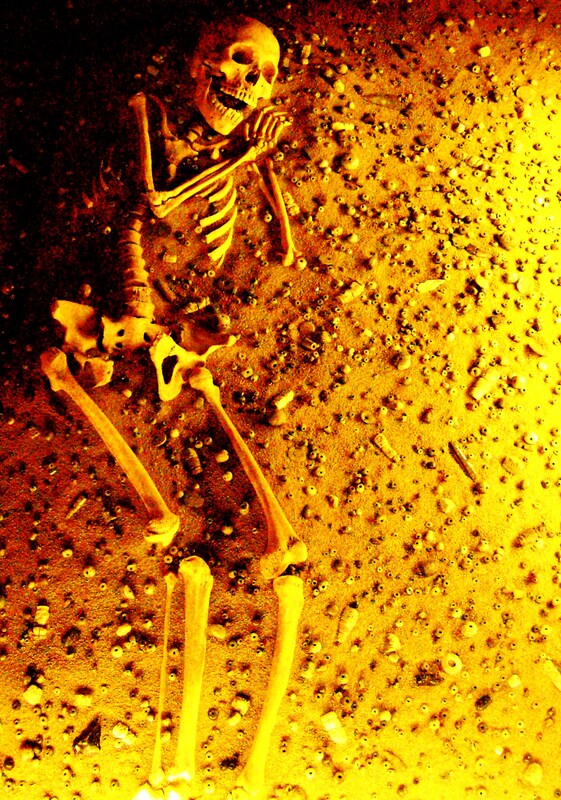 In this burial we find the largest and best collection of Mixtec lapidary art found up to the moment. Acknowledgements to Ron Spores, Areli Gutiérrez, Fernando Padilla, and Laura Diego Luna for these educational materials. For further information, please see the book, Yucundaa: Pueblo Viejo de Teposcolula (Oaxaca: Fundación Harp Helú and Productos Gráficos El Castor, 2009).